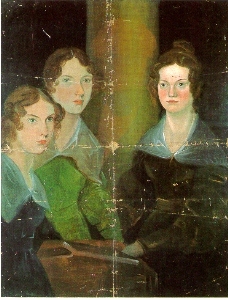 This picture of the three Bronte sisters was painted by Branwell Bronte. He had painted himself into the picture, but painted himself out later. There is still an outline of his form in the pillar.